Panelists explore the transformation of arts and culture in the Gulf under the influence of a new media-savvy generation, and state investment in new arts industries. The past five years have witnessed a tremendous growth in the creative fields in the Gulf Arab states. This symposium aimed to celebrate these advances and evaluate their impact: on social change, and on the global perception and representation of the Gulf Arab states. Participants included artists and representatives from arts foundations, who engaged in discussion about the role of the creative fields and shared their work through exhibitions and performances. 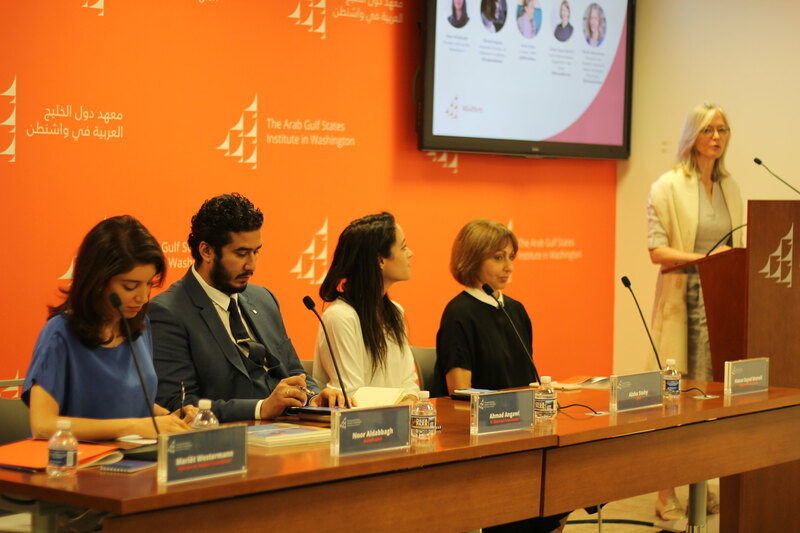 The panel on July 12 explored the transformation of arts and culture in the Gulf under the influence of a new media-savvy generation, and state investment in new arts industries. The speakers mapped out the new dynamism in the arts that the region is experiencing. For more about the contemporary art scene in the United Arab Emirates, as well as the history and background, read “The UAE’s Emergence as a Hub for Contemporary Art” by Non-Resident Fellow Hanan Sayed Worrell. Executive Summary Since the early 1980s, the United Arab Emirates has been a contributor to both the regional and global conversations about contemporary art.